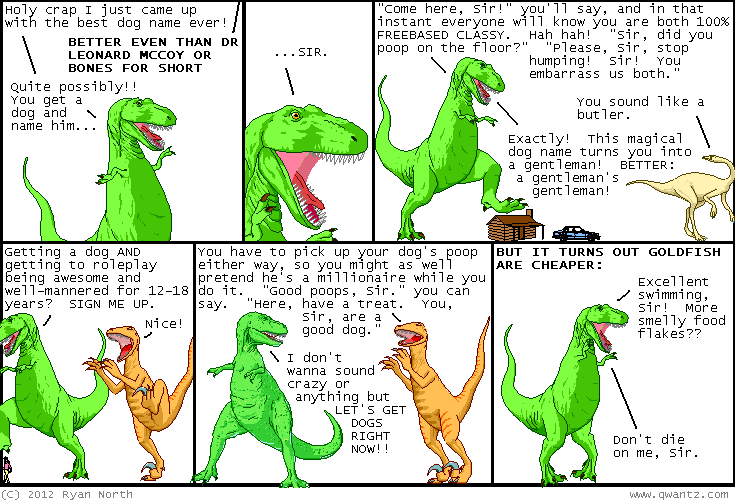 Dinosaur Comics - January 11th, 2012 - awesome fun times! January 11th, 2012: So I have a reader, Jon, who it turns out has decided to seek adventure on the seas for a year with his girlfriend, Marta, which in itself is awesome. And in decorating his boat he went with T-Rex in a sailor hat - and it's an even cooler hat than the one T-Rex wears on the back of my book! And since Jon is awesome, he's decided to share the vector art for Pixel T-Rex In Pixel Sailor Hat with you (pdf file)!